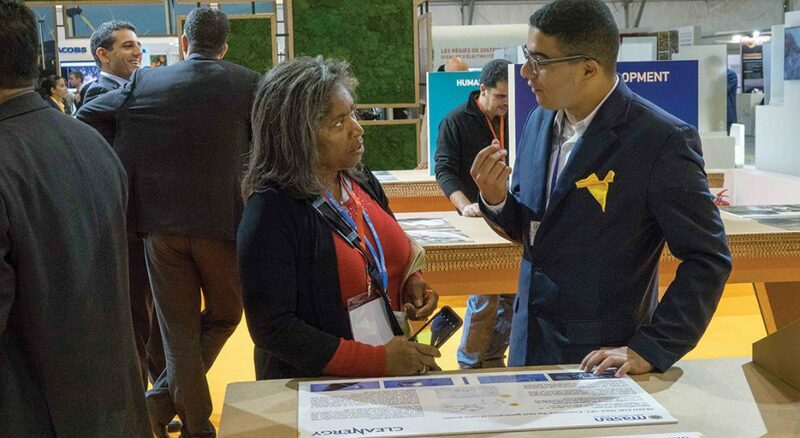 Ruth Ivory-Moore (left), ELCA program director for environment and corporate responsibility, discusses climate change issues with a colleague during the United Nations climate conference. Credit: Courtesy of ELCA advocacy. Download a study guide for the article “For the sake of the earth,” which appeared in Living Lutheran’s April 2019 print issue. The guide contains five pages of discussion questions and a copy of the article.